The Irish Film and Television Academy presents a First Look Screening of Carmel Winters’ ‘Float Like a Butterfly’ for Irish Academy Members. 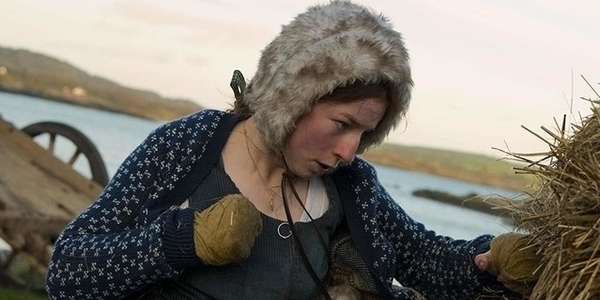 From the producers of ‘Once’ and ‘Sing Street’, Float Like a Butterfly is a powerful coming-of-age story of a girl’s fight for freedom and belonging, starring Hazel Doupe (Michael Inside) and Dara Devaney (An Klondike). The feature film picked up the International Federation of Film Critics (FIPRESCI) Prize in the Discovery Programme at TIFF in September 2018. Raised in roadside camps in rural Ireland, 15-year-old Frances Frances wants to champion her people inside the boxing ring and out, like her idol Muhammad Ali. But society is determined to break her spirit and destroy her way of life. And her father, once her greatest ally, is too defeated to imagine any better for his daughter. But Frances was not born to be broken. In the mother of all fights, she must dig deep to find in herself the Champion her father once knew her to be.